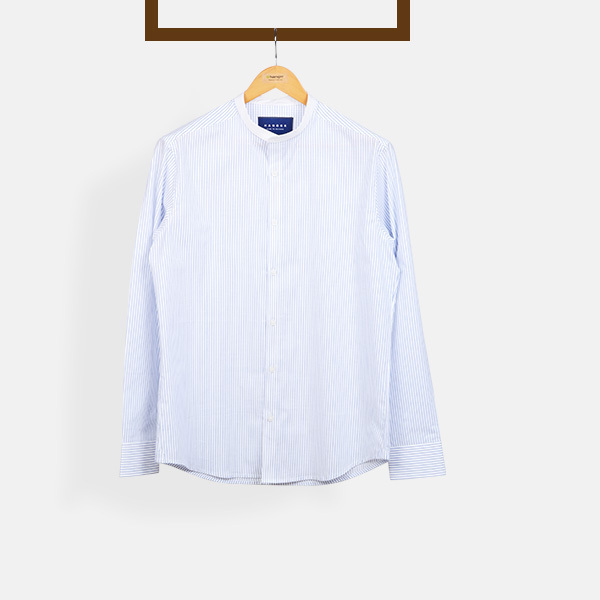 Navy Striped Shirt - (100% Cotton, Easy Care) - Fitted by A.I. This Navy Striped Shirt can be personalized. Create perfection with a simple 3 step process. 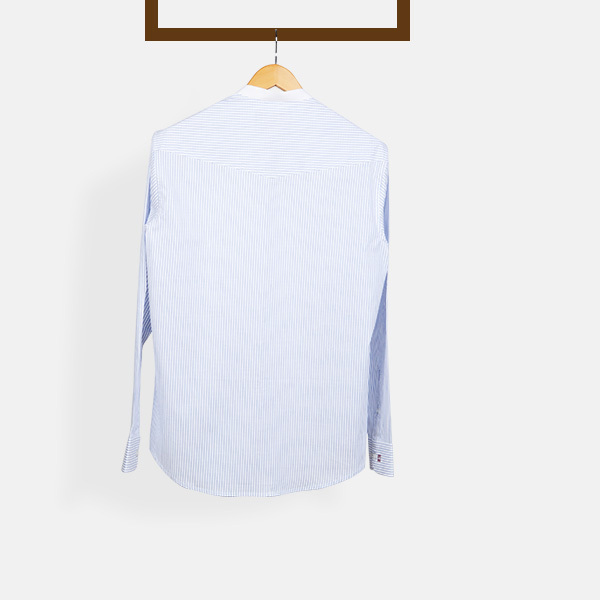 There is something about stripes shirt like this navy shirt that feels inherently summery. 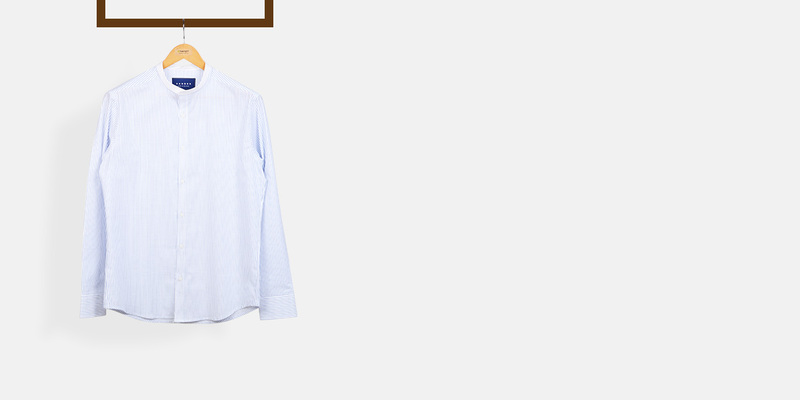 This shirt is cut from soft cotton and is tailored for a relaxed look. 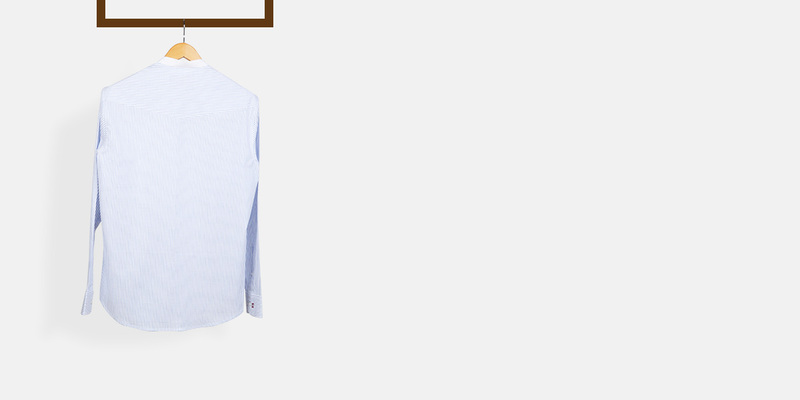 Dress it up with neat trousers or denim or wear tucked in with a blazer. 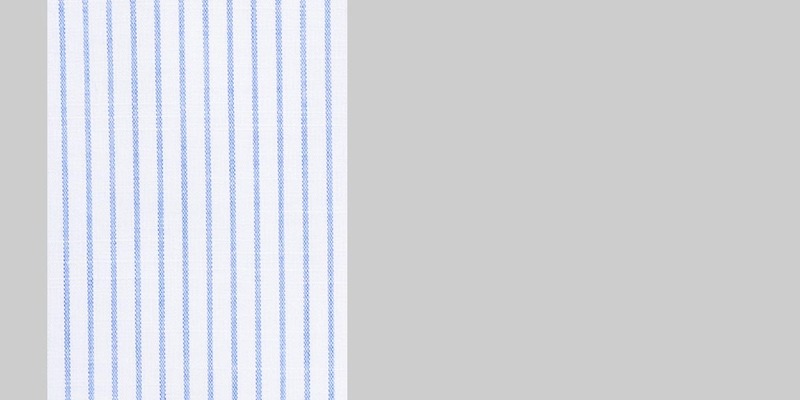 Presenting the - Classic Navy Stripes Cotton fabric. 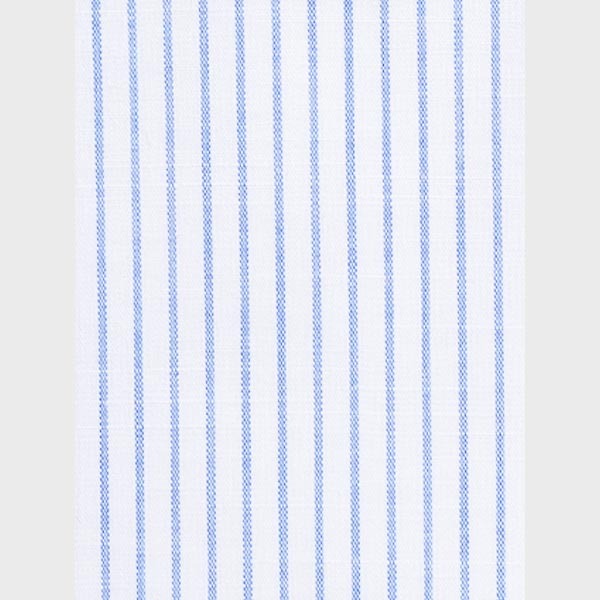 This amazing navy blue cotton fabric has a striped weave and is part of our easy care collection. This fabric weighs around 102 gsm.